What is Beauty Beet Box: Beauty Beet Box is a plant-based, toxic-free and cruelty free beauty discovery box curated especially for women of color! What inspired you to create Beauty Beet Box: I wanted to make the experience of discovering great clean beauty and skincare fun and beautiful for women of color. What challenges do you think WOC encounter while searching for natural beauty products: Women of color have definitely been left out of the clean beauty movement, despite having the most to gain from it. Diversity and representation continues to be challenged and the clean beauty industry is slowly turning the tide. 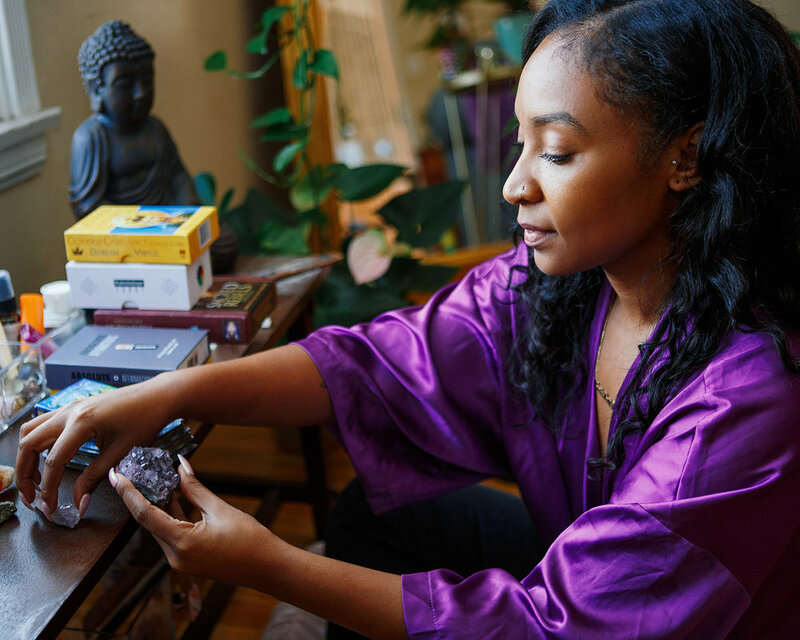 Women of color are demanding to see themselves reflected and are also starting companies rooted in their own wellness philosophies. Your discovery box is vegan. Why was it important for you to make it so: Many women of color are trying to achieve a healthier life balance. Vegan makeup products offer a way to extend their healthy commitments into more areas of their life. Like me, many women are striving to live as naturally as possible, so this is another reason that is was so important to focus on vegan beauty for women of color. What qualities do you look for in potential products that you are considering including in your beauty box: Products first have to be sustainably made, plant based, and cruelty free. If I won’t put it in my home on my melanin, it doesn’t go in the beauty boxes we curate. We also have a list of top 20 toxins that are especially harmful to women of color that can not be present in the products. We also research brands that are inclusive and put an emphasis on brands made by people of color. What advice would you share with someone who is interested in transitioning their beauty regime to include more natural products: Swap your conventional products out for a green product one at a time instead of going on a purge/subsequent shopping spree. What advice would you give to entrepreneurs who want to start their own beauty brand: Just get started…take a leap even if you feel like you’re not ready. Just take the steps to get going. What’s the biggest lesson or career advice you learned when you started your brand: How important networking with people is. Especially with people who are currently where you are in your career. Don’t break your neck to befriend the CEO if that’s not where you are. You and your peers can rise together. What natural products do you use to achieve a radiant complexion: I am a sunscreen advocate. Many women of color don’t think they need to wear sunscreen but they do, even in cooler months. Our melanin needs protection against UB/UVA sun rays. What’s one clean beauty brand that you think everyone should know about: Urban SkinRx for skin and Beauty Bakerie for makeup. Go-to shop for eco-friendly and ethical brands: I shop for indie clean beauty brands mostly online. Sephora carries a good selection of clean beauty too. Favorite beauty secret: It’s important that people educate themselves on their skin. Just like your gynecologist may say you need to be in tune with how your body is doing, you need to do the same with your skin. How do you practice self-care and why do you think it’s important: It’s important for me to cultivate a spirit of gratitude. I make a list and focus on the things I’m grateful for each day that help me feel happier, more centered and more self-confident. I think, especially for women of color, our self-care is vital. We spend most our time caring for the needs of others — family, friends, coworkers and spouses — that we put our own needs on the back burner. That can obviously be detrimental for us in the long run. Who inspires you: Being around passionate people. They are always contagious for me and they get my juices going. And they come from all walks of life, not just famous artists or musicians. Final thoughts We are committed to helping women learn to care for themselves. Mentally, physically and spiritually by providing women of color with a customer-centered platform to discover products from all-natural, diverse brands.